all of you not represent our church only fighting for personal interste. So are you represent our church or you start fighting for your own interest too, brother? Why you blame both side? You could see many flaws of the bishop unless you don't want to. Thank you very much that you calling me as your Orthodox brother's. Firstly, I would like to mention about myself I am not a part of personal interste from church. However, I deeply concerned the situation as an individual follower. This is with regards to recent issues that done by Aba Fanuel and his irrseponsible group to take away the most important intelectual priest from our church. We need dual qualified priest and deacon other wise we not out useless speculation. 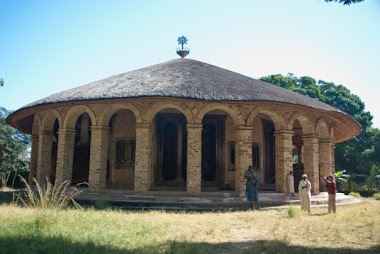 It is the master key point all of us understand that Ethiopian Orthodox church in longest and richest history has been a big contribution to Ethiopian Independence, social progress and unity. So, today is our time unite together to save our church instead of fight each others. 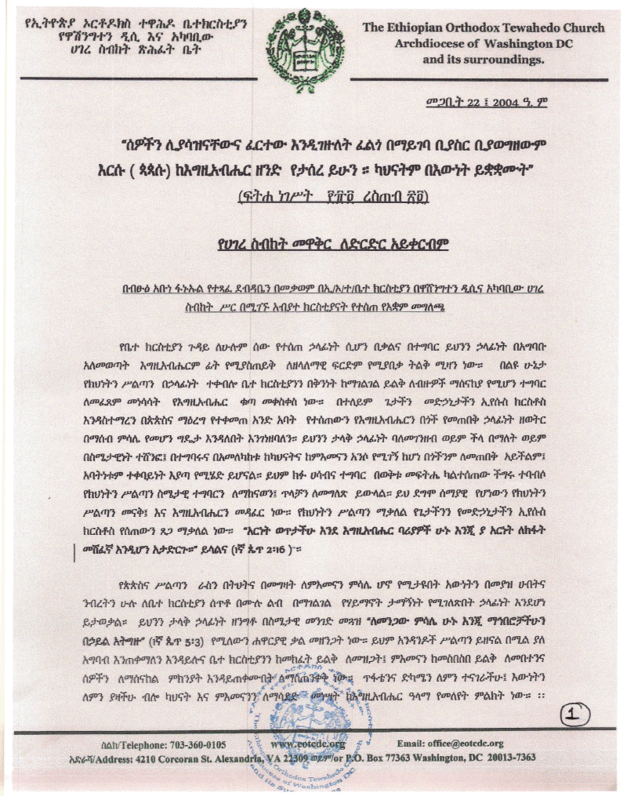 Furthermore, I am not a part of Abune Fanuel or Mahiber Kidussan, eventhough I strongly againest of Abune Fanuel action. His action is emotional, non spritual, and revengable of his owen conflict. 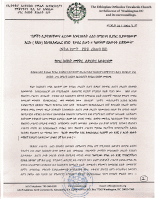 I knew Mahiber Kidussan since 1985 Ethiopian calander which provides an extenssive spritual, social, and economical services for Ethiopian Orthodox church and the countary. Finaly, as responsible father Abune Fanuel has undestand the enemy of Ethiopia alawys attack Ethiopian orthodox church so open your door for dicussion to resolve any problem of our church here in USA, other wise your spritual qualification not enough to lead this annicient church in the world. Thank you for all and Peace of God stay on true Orthodox brothers and sisters, I am one of Deacon in USA.